This is my third posting regarding my attempts to rid myself of the laptop and doing everything on the iPad, with surprising success I might add. I am now only going to the laptop every now and then, just to take images from its memory and e-mailing them across to the iPad. This new post is about getting a web builder onto the iPad that can work independently on the iPad, without any need to use a personal computer. 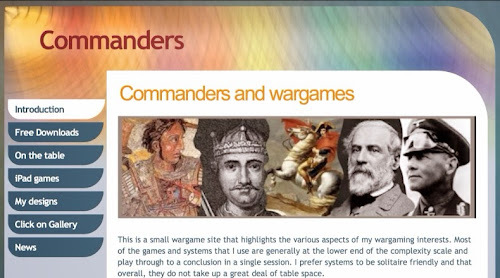 It also gives a link to the wargame website that I have started building to provide PDF downloads in the future for game rules etc. One of the limitations that I have found with the iPad compared to the laptop has been that I can't create a PDF in the iPad and then have a third party web program upload my PDF directly into the site, so that it can be hosted there and shared with other gamers. So for example, I can't upload a PDF file into the files area of Boardgamegeek, because that site only looks at my camera roll for uploadable files and the camera roll can only hold images - not PDFs. Anyway, I have found a work-around that suits me. Firstly, I have opened a Dropbox account that I can send my iPad created PDF to. Then I made a web page that I will use to list links to my Dropbox files. In effect this allows me to host my own files on Dropbox and have other gamers access those files via my new website. providing I do not exceed size restrictions, I will be able to operate Dropbox and the web page free of charge. Because I do quite a bit of work on the iPad and so always seem to have a bunch of new un-edited photographs sitting there, I was finding that Dropbox, as it was set to 'camera upload', would automatically kick in and load up those big memory heavy photo files. To stop this hoovering up process, I decided that I would store all of my photographs on Google Drive instead and then turn off the camera upload option on the Dropbox. Now I can use Dropbox to just manage the files that I send there - perfect. Next I needed a web builder, but the ones I came across either had fairly negative feedback reports from other users or in part had to be managed by a personal computer, especially when first building the site - even some programs that described themselves as being 'mobile', needed a 'real' computer to manage some of the file handling. Also, quite a few of the Apps do not include hosting and one has an interesting way around this my using the persons Dropbox account as a web host. Anyway, I found a good solution. The app, 'simpledifferent' works perfectly and allows you to create up to 7 pages without charge and then beyond that there is a 'payed for' pro version. There are enough templates to give an individual look to your site. The page building is based around text blocks that you can fill in with text and graphic areas that you can fill with your own pictures. 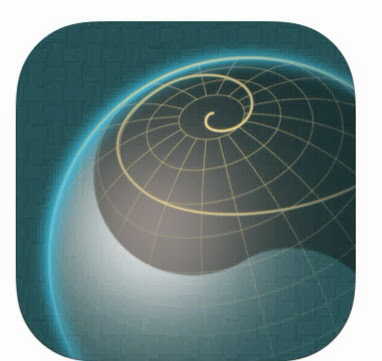 The App as seen in the Apple Store. The only build confusion that I had was that I created a 'header' photo and then the subsequent pages appeared to block out that header and the pages themeselves did not seem deep enough to hold much information. I discovered that the pages could 'grow' in length with more inserts being added and that instead of a picture graphic in the header, it worked better with one of the colourful patterned headers and instead put the header on page 1 (the intro page) as shown below, as this is automatically shown when the site is visited. Below is a link to my new site, remember that this has only been set-up in a 'bare-bones' kind of fashion to get the structure right. I will modify the pages and add document links etc in due course. It will probably be dedicated to a single project at a time.I wasn't sure that I needed a website, since the blog does most of what I want, but it is handy having a concise reference area and more importantly, a dedicated page linking to downloads from my dropbox. Should I stop blogging, the site would give me some private webspace where I can still share content for those interested, especially things like rules. If you check the site out, it will give you an idea of what this App can do for you. It does not use the www. part of the typical web address. The seven pages that you see on the site just took me a short evening to setup, editing each page is really easy. 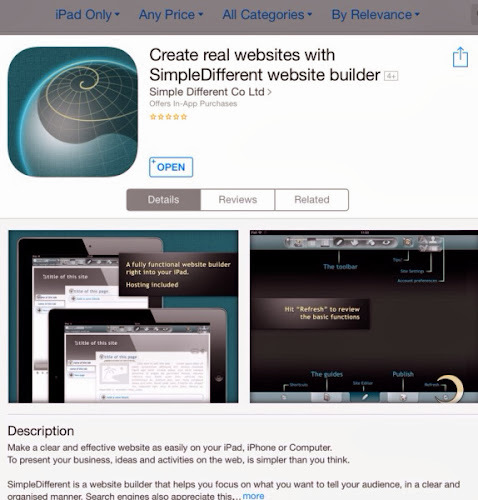 I would certainly recommend this App to anyone who wants a mobile web builder. It has taken me one step further down the road of Tablet independence.